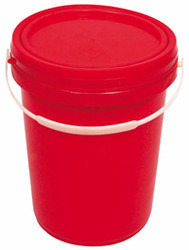 Generally used for the paint/oil buckets. Color: White, Silver, Blue, Etc. • Available in 6 Ltr., 7.5 Ltr, 10Ltr, 15 Ltr, 20Ltr. - Availability in various shapes and sizes. 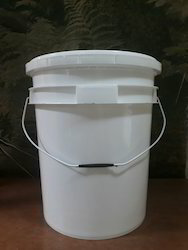 With the constant endorsement of our diligent experts, we are engrossed in presenting a highly qualitative Plastic Lubricant Oil Bucket to the industry.